Abhi Pasari is a certified ISP Art of Parenting coach and NLP practitioner based in Indore, Madhya Pradesh, India. A father to twin boys, Abhi obtained personal certification in ISP in 2008, and trainer certification in 2009. Since, then, Abhi has coached more than 5 thousand parents in ISP methodology. Basudev “Basu” Banerjee was working as a consultant with a media consulting firm in 2009 when his 18 month old son was diagnosed with a rare form of eye cancer called Retinoblastoma. Living today in Delhi, India, with his son fully healed, Basu maintains a website informing others about the disease and speaks publicly about his journey to reduce suffering and confusion of parents facing similar challenges. Can Yucel is a documentary photographer based in Izmir, Turkey. Specializing in time lapse photography, his award winning photographs include wildlife, nature, historic structures and humans. Can promotes peace through photography and uses photos to foster humans’ peaceful relationships with animals, nature, and each other. Recent projects include a historical book about Turkey for the 2016 UNESCO conference. Diana Dentinger is “Author of Modus Vivendi, Your Life Your Way” and Founder of The Meaning of Life School™, a 21st Century Life Coaching school that helps people define their core identity, purpose in life and potential. Based in Turin, Italy, she is also mother of four. 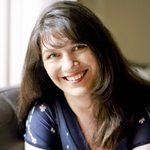 Elly Taylor, AARC is a relationship and perinatal educator, Creator of the Parenthood Model “Becoming Us”, and Author of a book by the same title. Based in Sydney, Australia, married and mother of three, Elly specializes in bridging the gap between expectations and reality for new parents. 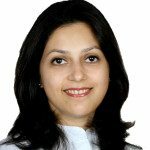 Himani Tyagi, Ph.D, is the Founder of BrainInformed solutions, an ICF certified Parent Coach and certified trainer for ‘Better Brains for Babies.’ based in Delhi, India. Previously a molecular biology researcher and educator for 11 years, her special focus is empowering women in achieving work life balance. 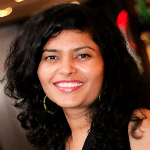 Kavita Yadav is founder of JiNa – Living Positively and certified in the Responsible Childcare® course developed by Love Humanity International (LHI). 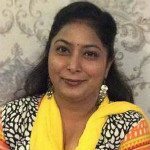 Based in Gurgaon, Haryana, India, she has more than 12 years parent coaching experience. Cognitive Behavioral Therapy serves as an integral part of her curriculum. “Mama Marlaine” Cover, MPA is the Creator of The Life Skills Report Card, and Founder of the international consciousness movement Parenting 2.0. A bestselling author based in Boston, Massachusetts USA, she also serves as Board President for Parenting 2.0’s educational non-profit, The Global Presence. Naziha Mehmood, M.A. IR., is a film producer and television news anchor. Based in Karachi, Pakistan, her career highlights include “Footpath,” documenting life of street children, and “Chiragh-The Lamp”about philanthropist Abdul Sattar Edhi. Footpath earned Naziha the Intermedia & Asia Foundation for Excellence Award in human rights reporting in January 2010. 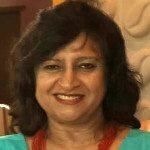 Reeta Passi is a Parenting Coach with Nouvel Era and a member of the Education Professionals Forum in Pune, India. Previously an academic teacher for thirty years, Reeta also volunteers teaching English to underprivileged children and is an active member of (expat organizations) ‘Global India Connections’ and ‘Internations’. Saloni Singh, MD is an ICF certified Life Coach, Master NLP Practitioner, and Happiness Coach certified through the Happiness Project UK. 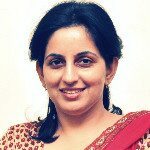 Based in Gurgaon, Haryana, India, she has more than eight years coaching groups, corporations, and individuals, her areas of focus include parenting, stress management and emotional literacy. Shaneil Stewart, MSW is an international Social Work practitioner with nine years experience coaching hundreds of youth in multiple countries. Based in Liverpool, England, UK, she specializes in the unique challenges faced by millennials and supports under 30s in identifying their Life purpose and elevating their communication and social skills. Shilpa Gupta, MD is a Parenting Coach certified in both Matrix Reimprinting and EFT. In 2012 she was recognized as the ‘Parenting Guru’ by Hindustan Times and awarded ‘The LBF Visionary Award of excellence.’ Based in Delhi, India, she was honored with the Nav Kiran Award for selfless work with women and the underprivileged at the 6th National Women Excellence Awards. 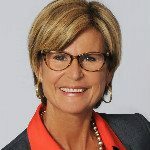 Susan Dockerill is Founder and CEO of Life Works and provides parenting classes, teacher in service trainings, mediation, and stay in school programs for at risk children in Florida, USA. She is also the Director of The International Network for Children and Families. Copyright 2018 - Parenting 2.0.